I love audiobooks and was thrilled to receive this one from the author. 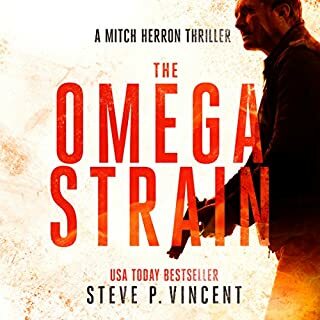 The Omega Strain is a virus that is going to wipe out mankind if Mitch Herron does not stop it. At first he fails in his mission and is captured but that is just the beginning. He escapes and teams up with another prisoner who is a scientist from the CDC. They race against time to kill all the carriers and stop the spread of disease. This audiobook was very well done with no glitches. The narrator was excellent. I like to hear the characters speak to get a better idea of their personalities. Tom Jordan did this well. This book kept me on the edge of my seat and I can’t wait to read the other books in this series. Thanks Steve! This book is more of a Cozy Paranormal Mystery. Dori is a police officer on leave while she recovers from a shooting in which she killed a woman. She returns home and buys run down Victorian mansion. Her Grammy Cena decides she needs help fixing it up so she hires a contractor who happens to be Dori's former boyfriend Gavin. Dori soon discovers that her house has a ghost. Vincente was a bootlegger in Prohibition era San Diego who was murdered in her house and he wants Dori to help him find his lost love Anna. The book is told from alternating points of Dori in the present day and Vincente in the 1920s. This book has mystery and romance with some history of California in the Prohibition. The characters were pretty well develpoed and interesting, especially Grammy Cena whom I loved It was an interesting light read. I want to thank The Audiobookworm for gifting this audiobook to me in exchange for this review. I enjoyed it. A fire ignites a whirlwind of action and accusation in a swamp town that hasn't seen excitement since the big lottery win 12 years ago. Little does reporter Chloe Keyes know that when she sniffs around for clues, she'll end up facing her own demons while unsettling the very foundation of her hometown. 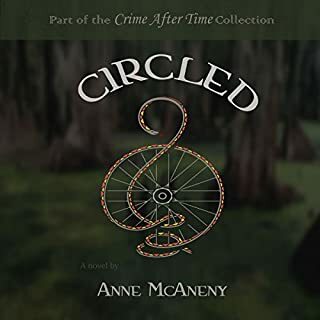 Close calls with gators, crossbows, and armed felons lead to a startling conclusion, complete with illusion, chicanery, and the most divisive trick of all: cold, hard truth. Will Chloe's murky existence finally be clarified? A Christmas party for the upper crust of the small Texas town of Maycroft turns tragic when the hostess ends up dead. Everyone assumes her death is an accident - everyone except her daughter, Estelle. She turns to Deena to help solve the mystery. A jealous friend and a mysterious heir are just two of the likely suspects. As a school teacher turned newspaper reporter, Deena must get crafty to dig out the truth before anyone else gets hurt, including her own brother. 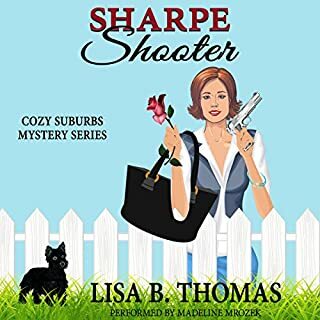 I enjoy Lisa Thomas's Cozy Suburb Mystery series. Her characters are well developed and very human and the situations they get themselves into are believable. There is a good amount of mystery with some humor and the stories flow to a satisfying but not predictable ending. 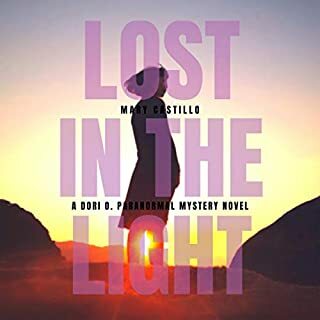 Deanna Sharpe, a 50 something former journalism teacher and now newspaper reporter in the small town of Maycroft, Texas, is an unlikely heroine, which makes it easy to identify with her. She seems to find mystery everywhere she goes. At a Christmas party at the home of the town's richest citizen, the hostess ends up dead. Deanna's brother Russell has recently started dating the daughter of the victim who thinks it was not an accident but murder. Deanna becomes involved and starts looking at the guests at the party and their possible motives. 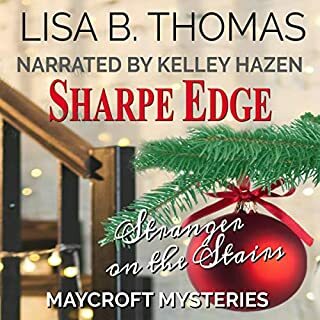 The narrator of the audiobook, Kelley Hazen, did a good job with Southern accents and the different characters' voices. I would like to thank The Audiobookworm for giving me a copy of this book to review. I enjoy this series very much and look forward to reading. This book had the typical elements of Robin Cook novels-a resident investigating suspicious happenings and getting in trouble, romance, detailed and believable medical details, and ethical dilemmas in medicine today. The story started with a death involving a character I thought was the heroine and our hero the resident. I came to dislike the heroine so I was having some problem getting involved in the story. I thought it was dragging a bit. I should have trusted Robin Cook to speed things up and tie everything together. I don't want to give any spoilers but the charlatan was not who I thought it was. 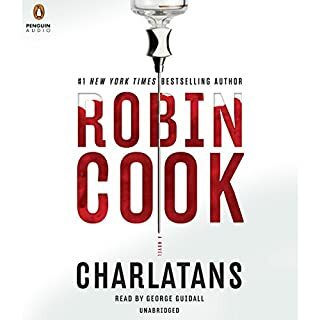 I enjoyed the book but I didn't think it was good as the older Robin Cook novels I loved so much. I listened to the Audible version of the book and I was not really crazy about the narrator. His accent was not great and he was a little choppy. Maybe I would have liked the book more had I read it instead. Deena Sharpe lost her job as a high school journalism teacher and is writing blog articles in hopes of getting a newspaper job. A body found in the sheriff's evidence room is identified as her uncle Matt (&quot;really our second cousin but we call him our uncle&quot;) who disappeared 50 years ago. She breaks the news to her aunt and promises her she will try to find out what happened to him. 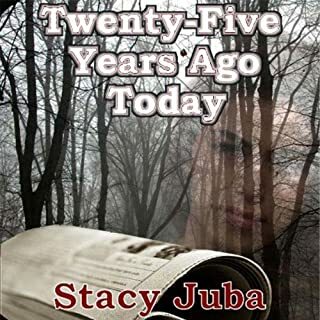 Thinking this will make an interesting story (it sure beats writing about what Labor Day means to people), she starts researching his death but finds many conflicting clues. Toss in an author who is convinced Matt was the second shooter in the Kennedy assassination and you have quite the interesting set of characters. The author is a native Texan, a high school journalism teacher, and grew up on Trixie Belden and Nancy Drew, and she drew on all of these to write this story full of Southern charm (&quot;That dog don't hunt&quot; and hissy fits), a satisfying mystery, and a little humor. Madeline Mzorek did an excellent job narrating the audiobook with just the right accent and touch of humor. This book is the first of a series and I look forward to reading more. I received this audiobook through the adopt-an-audiobook program of Audiobookworm promotions in exchange for this review.